Authentic sound, natural touch, and an absolute joy to play. 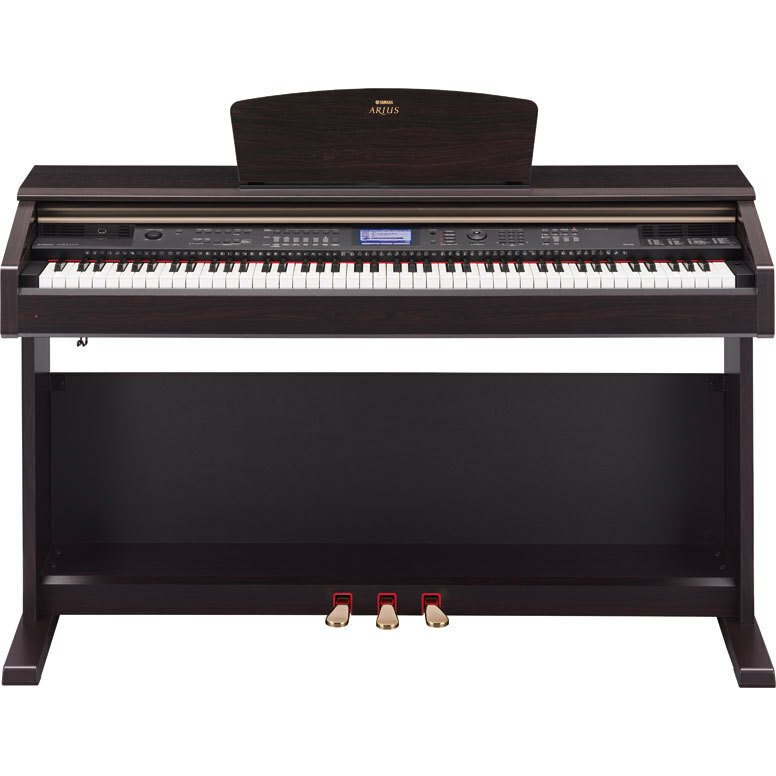 New to the ARIUS line, YDP-V240 is an ensemble console digital piano with an 88-note Graded Hammer Standard weighted action. The Graded Hammer Standard keyboard makes it a true joy to play, both in practice and in performance. The 3-level AWM Dynamic Stereo Sampling Voices deliver remarkably authentic sound and furthermore, the YDP-V240 incorporates a wide selection of amazingly realistic accompaniment Styles for hours of interactive music enjoyment. Just as on a traditional acoustic piano, the keys of the lower notes have a heavier touch, while the higher ones are more responsive to lighter playing. The keyboard's sensitivity can even be adjusted to match your playing style. This Graded Hammer Standard technology also enables the piano to provide authentic touch in a lightweight instrument. The matte finish of the black keys enhances the keyboard's luxurious appearance. Yamaha's highly acclaimed Sweet! and Cool! Voices deliver incredibly natural and very dynamic sound. 238 types of DSP effects can be added to the Main and Dual Voices. These range from reverb-like ambience effects to distortion and other dynamic processing tools that let you enhance the sound, or completely transform it. In addition to each song's default style, you can select any other style with the Easy Song Arranger feature. This means that you can play a song that is normally a ballad as a swing jazz, as a hip-hop tune, etc. You can create totally different arrangements by changing the style of a song. You can also change the song's melody Voice and the keyboard Voice for a complete change of image. Play along with a song on the instrument's keyboard and produce a perfect performance every time... even if you play the wrong notes! Just keep in time with the music, and you'll sound like a pro. You want to play music in your favorite genre, but you're not sure how to select the best Voice and Style for the type of music you want to play... simply select the desired title from the Music Database and the panel settings will automatically be adjusted for the ideal combination of Style and Voices! Furthermore, this instrument can access Music Database files transferred from a computer or stored on a USB flash memory device. These files can be used right along side the internal Music Database titles. Dive in and take advantage of the wide world of computer music software. Computer connections and setup are exceptionally easy, and you can play back your computer-recorded parts with different instrument sounds - all from a single digital piano.